A disqualification petition is generally sent to the Ethics and Privileges Committee to examine further which had in past taken roughly 1-2 years to submit its report. However, the chairman has the discretion to settle the matter himself. Rajya Sabha chairman Venkaiah Naidu has decided that he won't send the disqualification case of Janata Dal (United) MPs Sharad Yadav and Ali Anwar Ansari to the parliamentary committee on privileges rather he would himself take a call on the plea of the Nitish Kumar-led party seeking quashing of the two leaders' membership from the Upper House. Naidu's latest decision is in line with the JD-U's demand that disqualification of Yadav and Anwar should not be delayed by sending it to the Ethics and Privileges Committee. Now in this case, according to reports, a decision may be taken before the commencement of the Winter Session of Parliament which usually starts in the third or fourth week of November. 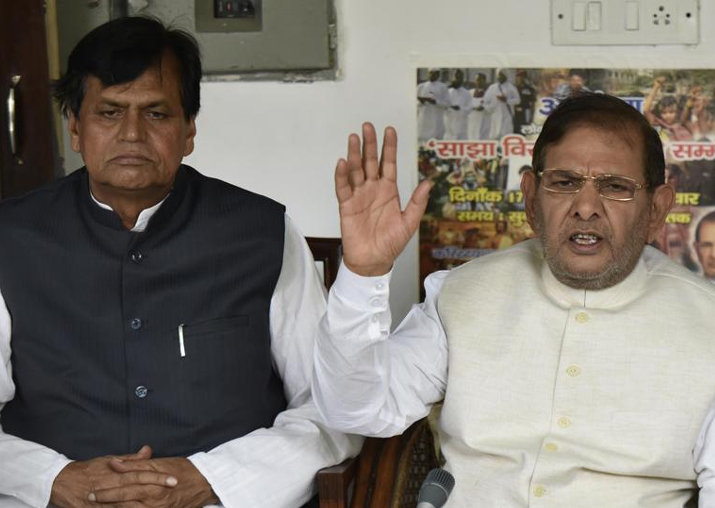 It should also be noted the Ethics and Privileges Committee is currently headed by deputy chairman and Congress leader PJ Kurien who may delay the process and the 2019 general election might arrive, thus providing an undue advantage to the Sharad Yadav faction of JD(U). Earlier, the JD(U) had approached the Rajya Sabha chairman seeking disqualification of the two MPs after they revolted against Nitish Kumar's move to walk out of the Mahagathbandhan alliance in Bihar join ranks with the BJP to form government. The party had submitted that the Chair shouldn't refer the matter to the Ethics and Privileges Committee as "it is a competent authority to take a decision on the matter". The party's Rajya Sabha members had on August 12 removed Yadav as their leader in the House and replaced him with RCP Singh. It had also suspended its Rajya Sabha MP Ali Anwar from the parliamentary party for attending a meeting of opposition parties convened by Congress president Sonia Gandhi.